“Zip codes might be great for sorting mail, but they should not determine the quality of a child’s education or success in the future workforce. “Under the current education system, there is wide variation between states and even school districts on what students are expected to know and do—a situation that is unfair to all students, and one that is especially harmful to low-income students and students of color. With common standards and assessments, students, parents, and teachers will have a clear, consistent understanding of the skills necessary for students to succeed after high school and compete with peers across the state line and across the ocean. “During a time when many states face large budget deficits, there are significant financial benefits for moving toward common standards and assessments. Currently, states collectively spend $1.3 billion annually to develop, publish, administer, score, and report on tests. By working together to develop common assessments, states can improve test quality and save money—a huge priority for states in today’s tight budget environments. “Additionally, common state standards and assessments that are aligned with college and career readiness will help to prepare students for success after high school while helping to save states money that would normally be spent on college remediation. According to the Alliance’s common standards state cards, California would save over $687 million a year in community college remediation costs and lost earnings if its high schools graduated all of their students ready for college; Illinois would save $210 million; and New York would save more than $192 million. The Alliance for Excellent Education is a Washington, DC-based national policy and advocacy organization that works to improve national and federal policy so that all students can achieve at high academic levels and graduate from high school ready for success in college, work, and citizenship in the twenty-first century. 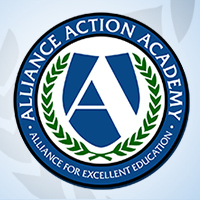 For more information about the Alliance for Excellent Education, please visit www.all4ed.com.